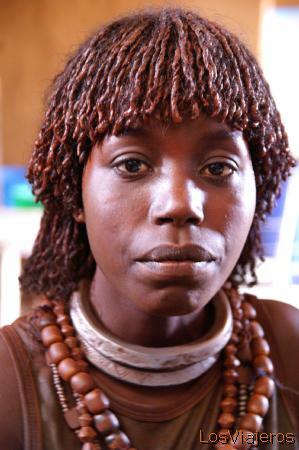 Second wife - Dimeka - Omo Valley - Ethiopia: Hamer tribe is the most friendly tribe of Omo Valley. Only two rings means second wife. Hamar woman -Dimeka- Omo Valley - Ethiopia "Index"